The overarching theme of this volume is the cyclical nature of technological change, its impact on economic growth, and the limits of government intervention. Technological revolutions are infrequent; there were only three in all of the twentieth century. When they occur, their possibilities are often not immediately apparent. Technology revolutions induce capital investment, not just because they stimulate the need to acquire the new technology, but also because of the need to replace obsolete capacity and new infrastructure. While government has encouraged general economic progress by carrying out highly risky innovations unrelated to fostering economic growth, it seldom succeeds with specific efforts to foster growth. Recent examples of success include the Internet and the global positioning system (GPS), which trace their origins to defense-related research. In contrast, the countercyclical economic stimuli of 2007-2009 have achieved little in the way of general growth. The lack of data about the technology cycle makes formulating appropriate monetary and other policy countercyclical interventions difficult. A technology-founded upswing animated the American economy after 1990, and the -great recession- of 2007- 2009 reflected the waning of the investment boom that this revolution generated. Edmonson argues that the impact of technology revolutions on general economic growth has never received the attention it deserves. 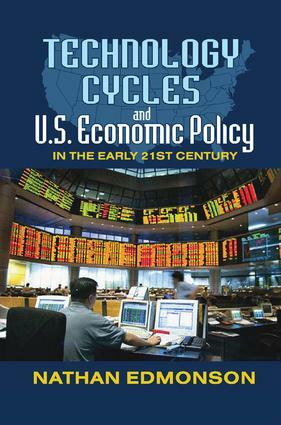 This volume will contribute much to debates on economic policy.